I guarantee today’s tip will save you a TON of time one day. Do you remember a couple weeks ago, when I talked about how I prefer to do no more than three versions of a mix? There’s one thing I’d like to add. It’s so simple I feel silly even sharing it with you, but I remember back when I was first starting out mixing. I didn’t even consider this as an option, and I wish I had. It’s simply the “Save As…” command. Let’s say I’m working on a song called “A Song for Pam” for a client. When I first start mixing the song, I’m going to save that session as “A Song for Pam – Mix 1”. Once I’m done with round one, I’ll send the mix to my client for review. I’ll make the changes, send the mix off to the client, and await a reply. If the client’s happy, I open up “A Song for Pam – Mix 2” and bounce the final WAV file. Easy peasy. If there are a few more changes he wants, I’ll save it as “A Song for Pam – Mix 3” and make those final changes. 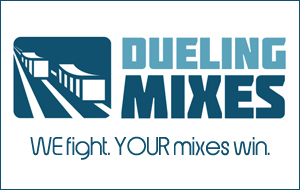 Let’s say after submitting Mix 2 to the client, he decides he prefers Mix 1. (This happened to me recently.) No problem. I just open up Mix 1 and bounce down the mix. Easy, right? Now imagine that instead of saving separate versions I simply named the session “A Song for Pam”. With every change, I simply hit the save button, essentially replacing (and erasing) any previous versions of the mix. If the client liked a previous version, I’d have no way to get it back. I would have to go back to square one and try to re-create the mix. Save yourself some trouble and use the cute little “Save As…” command.